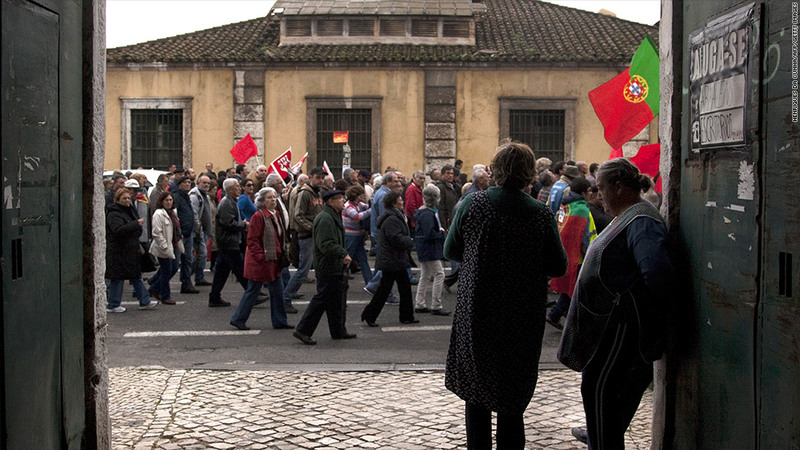 Portugal is grappling with ways to meet the terms of its international bailout. Portugal's president has referred the 2013 budget to the constitutional court, warning the country is becoming trapped in a vicious circle of austerity and recession. Anibal Cavaco Silva said some people would be hit harder than others by planned tax rises and welfare cuts, raising doubts about the budget's fairness. "We need to regain the trust of the Portuguese," he said in a televised speech. "It's not enough just to regain the confidence of our foreign creditors. We must work to unite the Portuguese and not divide them." The tax increase is equivalent to more than a month's wages for many Portuguese, who face a third consecutive year of recession in 2013. If the court deems elements of the budget to be unconstitutional, it will complicate Portugal's efforts to meet the conditions of its international bailout. Portugal has won plaudits from the European Union, European Central Bank and International Monetary Fund for its commitment to raising taxes and cutting spending in order to bring down borrowing. The lenders agreed in September to relax the terms of a 78 billion euro bailout, reducing the 2013 budget deficit target to 4.5% from 3% of gross domestic product. But even without the intervention of the constitutional court, that revised target will be a stretch, as the eurozone nation is relying on one-off measures to hit its 2012 deficit goal of 5% and is likely to see its economy shrink by at least 1% this year. The pace of economic contraction accelerated in the third quarter of 2012. The president's move is an embarrassment for the Portuguese government, which had defended the budget plans. It also reflects the difficulty European leaders face in trying to evenly spread the pain of fiscal discipline while working to restore growth. Meanwhile, France is reworking plans for a 75% tax on incomes above one million euros. Its Constitutional Council said the levy was unfair because married couples with one partner earning above the threshold would be affected, but couples where both partners earned just under a million would escape. The tax had prompted some high-profile wealthy French citizens, including film star Gerard Depardieu, to leave the country.